The Amazing Craig says it’s a do-over! At our house a do-over has a couple of meanings: the first would be an opportunity to try something again and make it better, as a social repair action after a misread – the other meaning is lemme try that again… I love it! 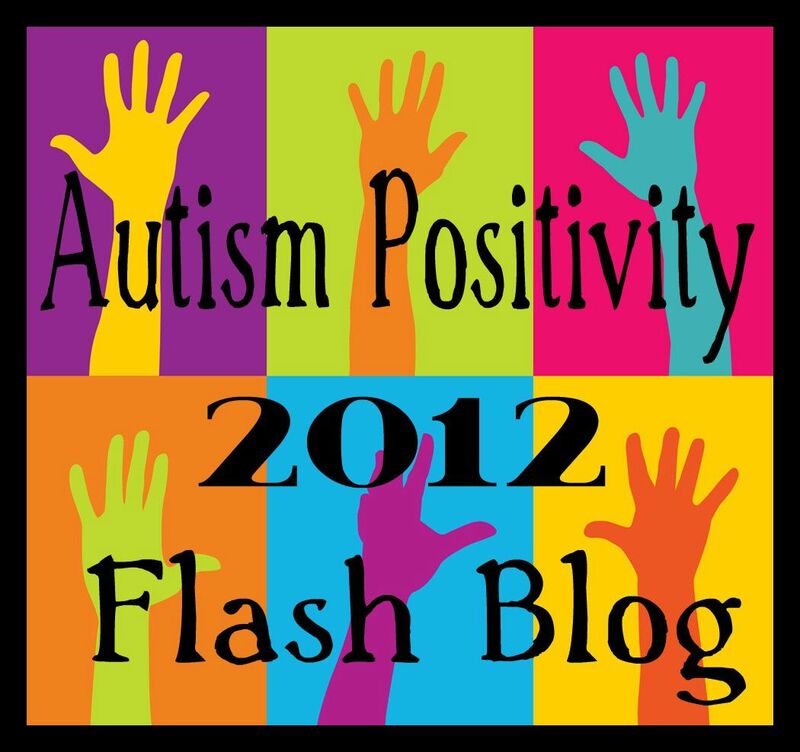 It is interesting to note – that even though our boys are both completely articulate – it still took almost a year for them to be able to disclose how unhappy they had been during their week away. Both families were certain that we were not willing to risk a do-over of that one! “Now that the boys are in their teens, they were the ones that were being followed by the smaller boys. I turned around after getting some lunch supplies out of the car, and there were 8 boys in our camp – all with Nerf guns. I delayed lunch because I saw epic battles going on – problem-solving, alliances, sneak attacks, laughter, and little girls on the the outskirts like remoras on sharks, following the action of this big group of boys. I was worried and anxious myself- because I thought that arguments would break out- over which Nerf darts were whose – but all the boys had different coloured darts – like brands on cattle in the old west. There was sharing and co-regulation and reciprocity and lots of fun. It was amazing! Apparently there were also times when our two boys were more like Foghorn Leghorn when they simply said, “Beat it kid!” However, within a short time the little boys were back at the camp inquiring “What’cha doin’?” and it all began again. This was CM’s first time doing full metal camping, aside from the experience of last year’s summer camp. This was an opportunity to reframe the negative experience and create/replace it with a positive memory of fun and friendship. For the first time, City Mouse lit a fire! H, a camping veteran like his dad, taught him how to use a flint to light it without matches. City Mouse also learned how to spin-cast and caught his first fish. CM tasted his first fire-roasted marshmallow. They had the freedom to be boys… Craig took them to shoot rocks and pine cones into the lake with slingshots, and they spent endless hours making sure the campfire was stoked. Craig reports that he created a fireside tale entitled “Revenge of the Summer Camp Bullies” which involved airhorns, kittens (one of the bullies was allergic to cats), and holographic images of horror movie villains chasing the bullies. In this way, they were given another opportunity to process their disturbing experience of last year and made it into a part of this year’s fun. 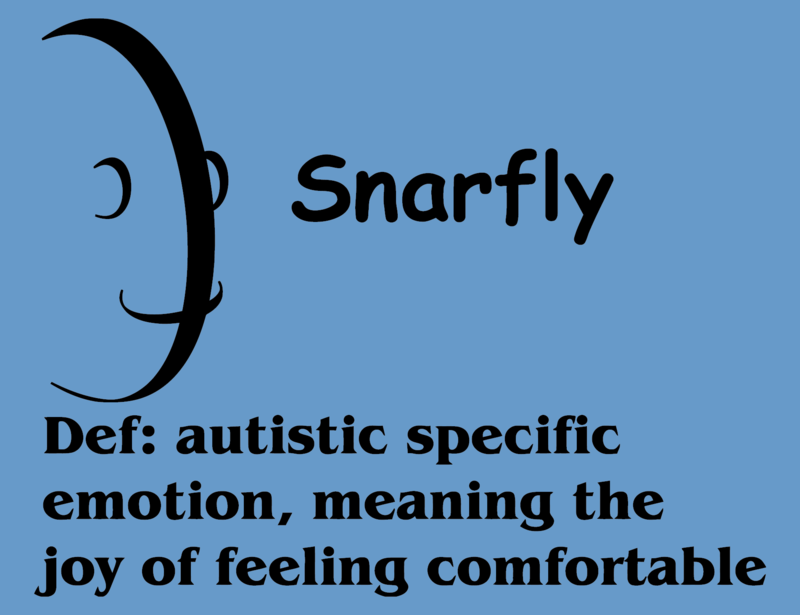 Apparently – it was completely snarfly (Laura Nagle’s word for the autistic-specific emotion of the joy of feeling comfortable) and it’s a do-over! Craig, you are very seldom one to go on about your skills, but you truly are The Amazing Craig… and you are also SPECTACULAR!! 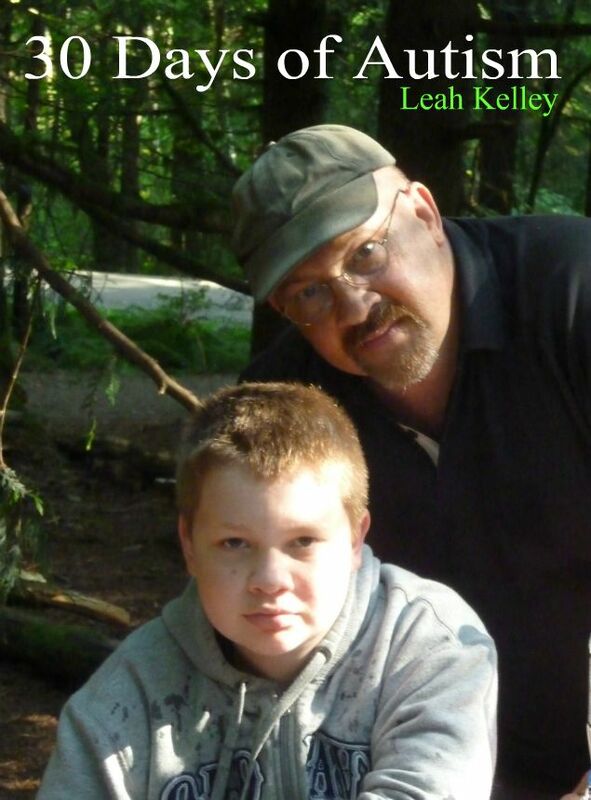 Thank you for being such a wonderful CIT, dad, husband, and human being – and for giving such a gift to these boys! 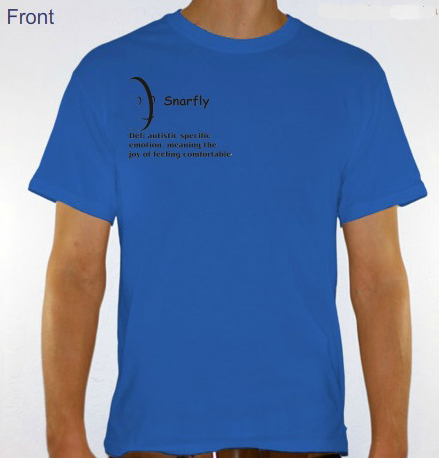 For a limited time you can buy an ultra-cool Snarfly t-shirt and help the Vectors of Autism project! Here is the link Yay!! 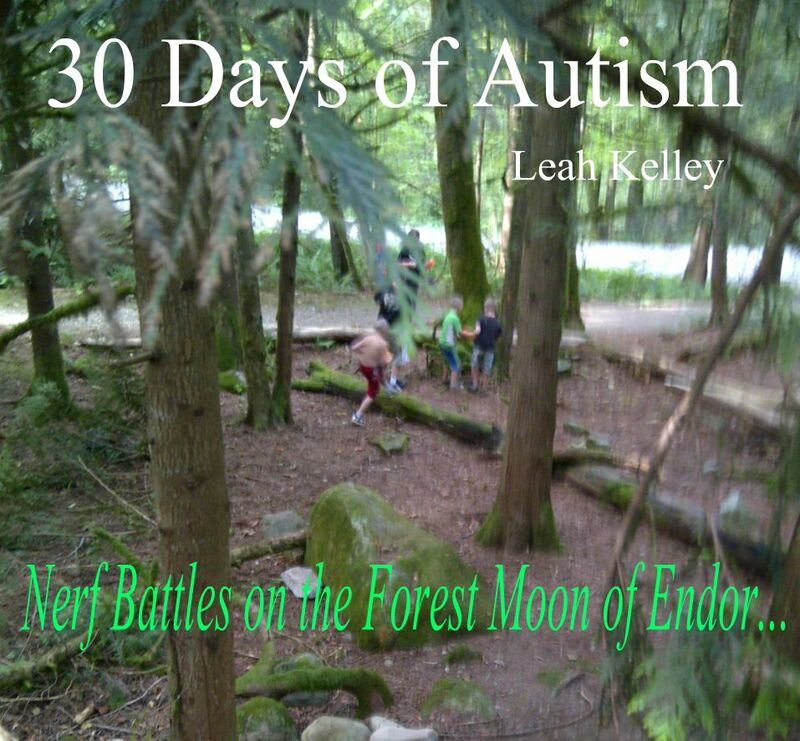 This entry was posted in Aspergers, Autism, Neurotypical, Parent, Snarfly, typical and tagged Autistic, Bullies, Camping, CIT, city mouse, do-over, Endor, friendship, Laura Nagle, mosquitoes, Nerf Guns, Rockets, sling shots, snarfly, Star Wars, Summer camp, The forest Moon of Endor. Bookmark the permalink. Thank you E… I am glad too 🙂 H is so lucky to have such a great Dad and to have a good friend like City Mouse! I love this! My son went camping this summer and caught his first fish – soo geeked! In fact, he caught 5! Ah… those are great moments to treasure forever! Your son sounds like he has the makings of a spectacular fisherman!